The holy grail of books, was key on the list for shoppers causing Kingston Bookstore on King Street to close its door for most of the day, only offering token spaces to those looking in from the outside when the matching numbers exit. 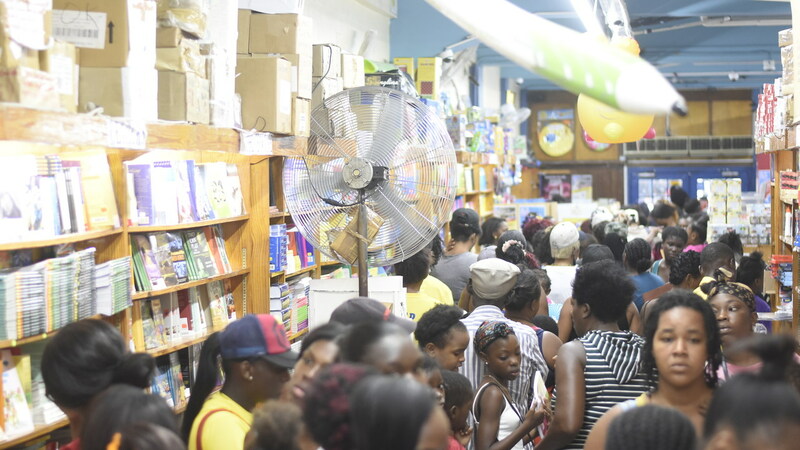 Downtown Kingston buzzed with activities on Monday, with parents, guardians and children crowding the streets of the island’s capital, purchasing school supplies in the homestretch of the final week, before the reopening of school. Kingston Bookstore was not the only enterprise that flourished in the back-to-school frenzy, when Loop News reporter Job Nelson checked. 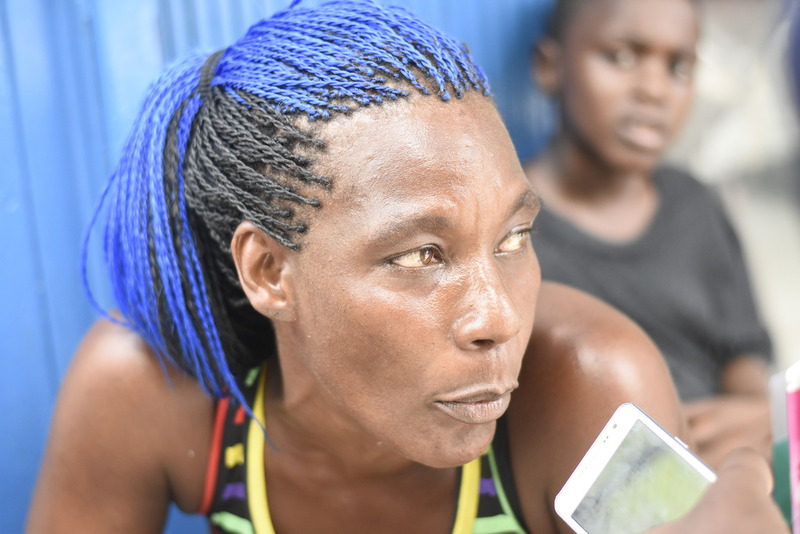 Not so, for the street vendors, who complained of having to transform into Olympic sprinters to escape the clutches of police officers and municipal police, as they try to eke out a living, and in turn, send their own children to school. For Kingston Bookstore, Store Manager Ruel Matthie and Director of Ammar’s, Michael Ammar, it is still too early to assess the impact of this year’s sales, but they are pleased with the outset of what is taking place in their respective stores. Both say a final assessment will be made next week Wednesday when most of the rush shopping would be completed. According to Matthie, it is usual to have an overflow of shoppers this time of year. 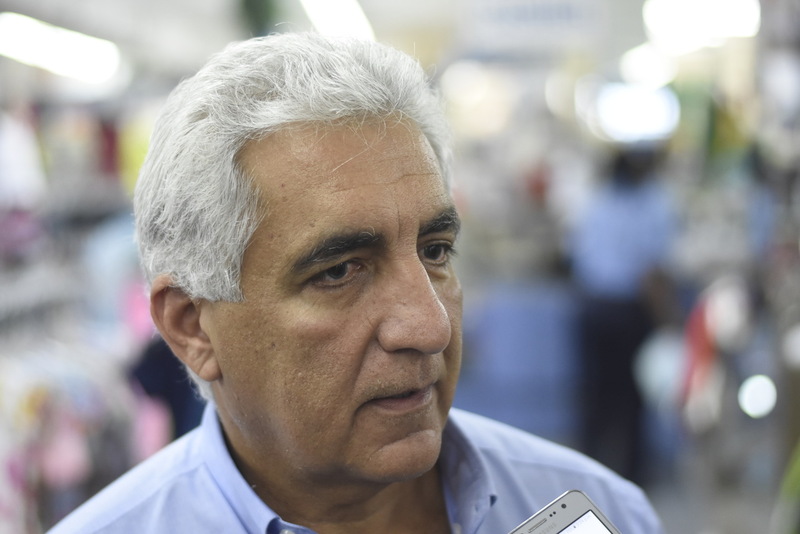 “You will find that a lot of the persons, who are here today, are really shopping with vouchers. Some of them are just getting their vouchers, so that’s why we have this place so full. 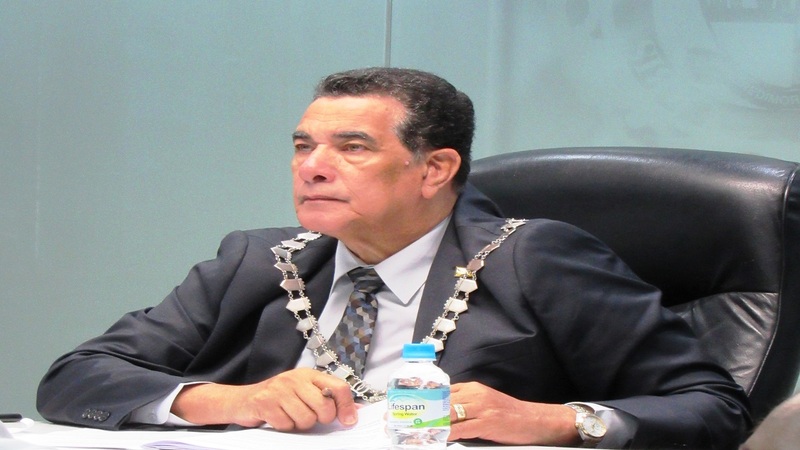 We expect this to continue until next week,” said Matthie. 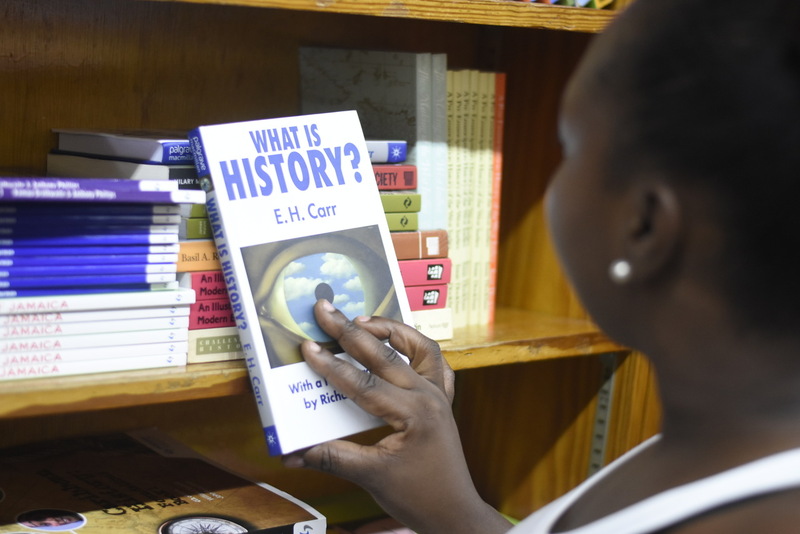 A parent examines a textbook in Kingston Bookshop. Another factor he attributes to the store being full is the bookstore being out of stock earlier with some titles, which are now available. He said that while not yet fully stocked, books would continue to arrive until next week. For Ammar, customers were purchasing the usual khaki uniforms, school bags, white blouses, socks and other school necessities, but with a regularity that pleases him. “Things going good, very brisk. Sales are brisk this year as I think it is better than last year, although I think it is hard to tell because this year is not over as yet. You can’t judge back-to-school until next week Wednesday, but so far it looks brisk,” said Ammar. Pedlars Michael Smith and Trudy Gray however, complained bitterly about not getting the opportunity to sell their wares of school bag and school stationery respectively, because of police. According to Smith, who has been selling on the streets for seven years, although he has had worst years, this year is much slower than last year, but he is looking forward to the last major day of shopping on Saturday. Outspoken Gray, agreed that while things are not that bad last year was much better. Gray, with a slow slurred phonemics, said, “the sale kind of slow but we a fi give God thanks fi weh yuh sell, cause whole last week di police dem have wi up and dung, suh we nuh get fi sell nothing”. “All big big Saturday things a sell and wi couldn’t sell nothing, because the police dem have wi up like wi a criminal, round town, uptown, downtown. 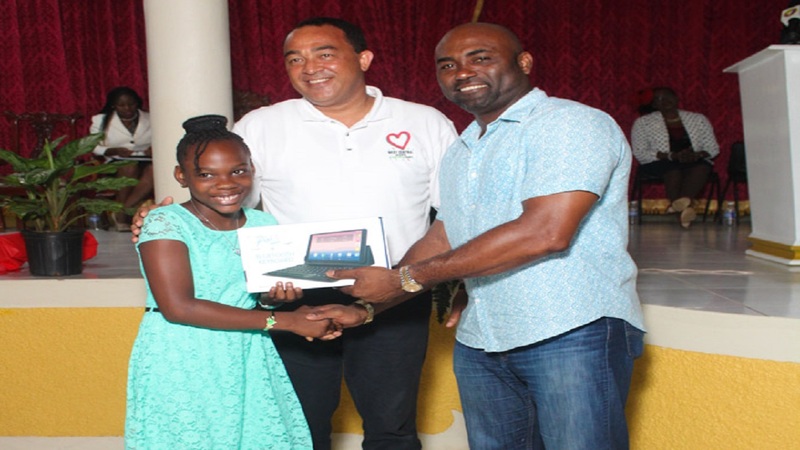 All now mi nuh buy mi daughter uniform, but mi a pray and hold di faith and beg God fi mek things happen and gwaan,” she said. 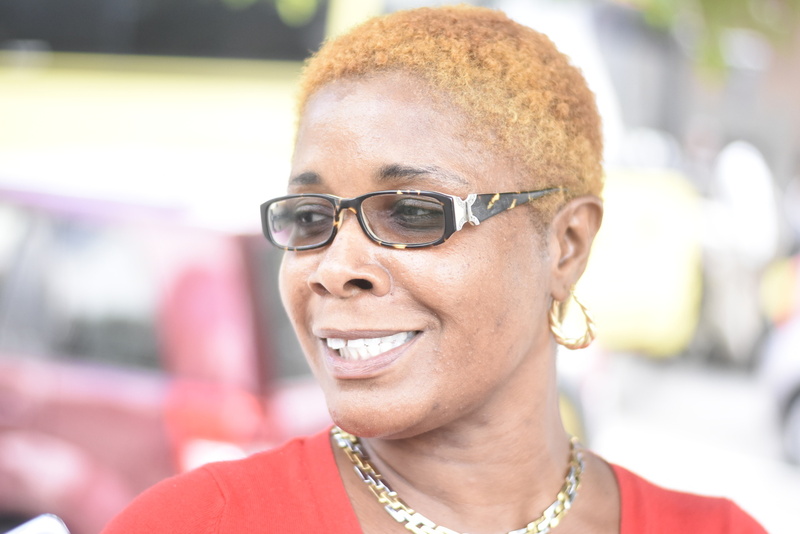 She explained that last year, one week before the beginning of school, she was able to purchase her children’s back-to-school items, which she has not done as yet, because of being chased by police. On the other hand, parents Karen Mills, Marie Clarke and Sadie Shaw, were putting in the final pieces to their back-to-school puzzle, as they said they started shopping early to avoid the late rush. 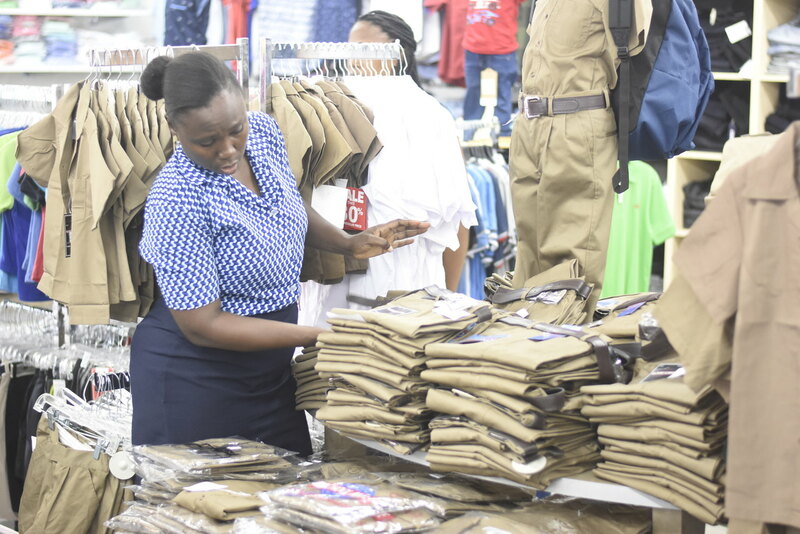 See more photos of back-to-school shopping in downtown Kingston. They however complained about the increase in expenses that has hit them this year. “Compared to last year, it is very expensive, because the cheapest book I get is $750,” said Mills, who has a child going into grade five and another at basic school,” she explained. 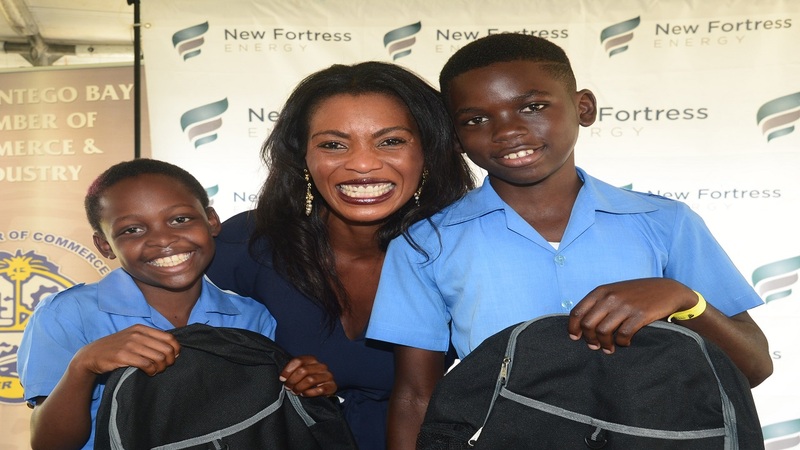 She said it was hard on her, as the grade five child had to get 13 textbooks with another five for the child in basic school. Clarke said she shopped for all the school supplies from July, excepting shoes for her four children with ages 18, eight, six and four. She said she left the shoes for last, to ensure that they fit well going into the new school term. She said, “for me, I shop from in July. So it is just the shoes because normally you know the kids' feet grow throughout the summer so you have to buy shoes closer to school time. “Prices are higher than last year. Much higher than last year, because even on the book list, they gave us a pricing on the book list and in July when I went to buy the books, it’s like $500 more or so, more than what they gave on the book lists,” Clarke said. Shaw, who was shopping for her last child, who is seven-year-old, said, “so far although it is hard, you still have to bend and buy. It is very hard still, but I am putting bits and pieces together. “Last year was a little bit better because of the price. Everything changes up now but that’s how it goes,” she said.